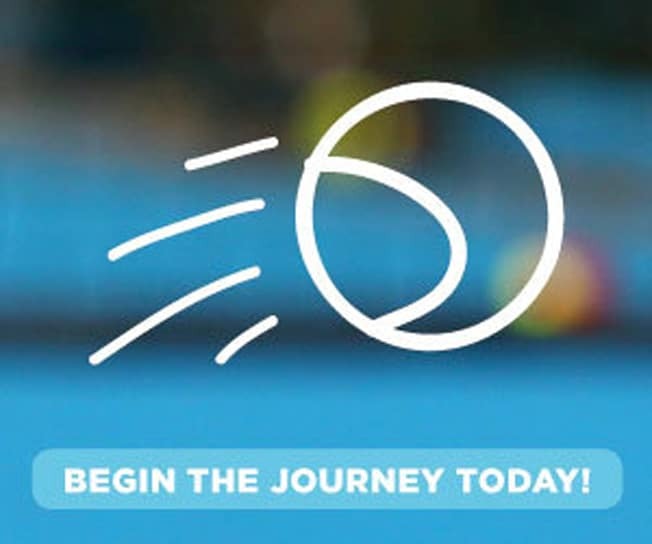 Junior Fixtures - Queensland Tennis Centre - Play Tennis, Court Hire, Coaching, Fixtures - Brisbane, QLD. Term 2, 2019 registrations Open NOW! TERM 2 – Friday 26th April (Grading Day) to Saturday 27th June – 10 week season. The primary purpose of our Hot Shots Orange, Green and Yellow Ball fixtures is to provide an opportunity for children to use the skills and technique they learn in coaching. The focus is on participation, sportsmanship and having fun. QTC Orange League is the perfect introduction to match play for your child. Guided by our qualified coaches, children will be taught how to play and umpire a proper set. Played on a 3/4 size court, children play 1 singles match, 1 doubles match and umpire 1 match each week. In the early weeks the children miss lots of serves, rallies are short and scores forgotten by both players and umpires. However, over a full term the improvement is dramatic! QTC Green League is played on a full court and caters to a variety of levels. This fixture caters to a variety of levels and can be used as a graduation from our Orange League or as in introduction to fixtures for older children. Played with green Hot Shots Ball children will play 1 singles match, 1 doubles match and umpire 1 match each week. Guided by our qualified coaches, children in this program improve all areas of their game but most noticeably their serve and consistency. This program is for older players that have progressed beyond the aid of modified balls. Each week children play 1 singles,1 doubles and umpire 1 match. The format keeps children on court and involved which enables a fun and social tennis environment. Brisbane’s premier junior fixture, QTC Premier League is for advanced juniors who are looking for competitive match play on court and an enjoyable social environment off court. Played over 2 hours, Premier League is an exclusive team event where players get 1 set of singles and 1 set of doubles each week. These are played across 3 grades, Premier Grade, A-Grade or B-Grade. The Queensland Tennis Centre can help you register a team to play in Tennis Brisbane’s popular Super League Fixtures. We currently have teams from Super Grade 2 through to Green division – Something for everyone! You can elect to have the Queensland Tennis Centre as your home court so you’ll be part of a fun, home-and-away format where you can also play at various other Southside tennis centres. However, your home court is the state’s premier tennis facility right here at the Queensland Tennis Centre! For more information about Saturday fixtures please visit the Greater Brisbane Junior Tennis Association website.